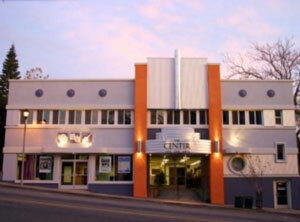 The Center for the Arts has truly become the hub of arts for Nevada County. We are committed to bringing a diverse array of programming to western Nevada County, including music, dance, theater, film, visual art, comedy, youth arts education and literature. We manage and maintain a multi-use 21,000 square foot facility in downtown Grass Valley which includes a 300 seat Main Theater, two visual art galleries, classroom space, and a 90 seat black box theater. We provide marketing and production services to support local artists and arts organizations and collaborate with area non profits to provide event services and fundraising support. The Center is the only cultural organization in Nevada County that offers such a variety of events to such a large demographic. In more than 150 performances a year, we serve audiences from 2- to 90-years-old and attract patrons from our area as well as Placer County, Sacramento, Tahoe, Reno and the Bay Area. In addition to improving the local quality of life through a rich arts scene, The Center\’s visibility in outlying regions makes us a viable economic engine for the county. The Center is committed to building Nevada County as a destination for the arts.